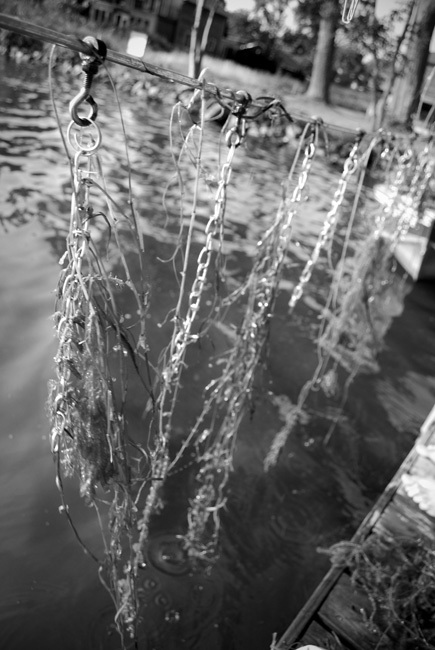 Do you have a weed problem around your dock but don’t want to (or can’t) use chemicals? We have the perfect solution for you! 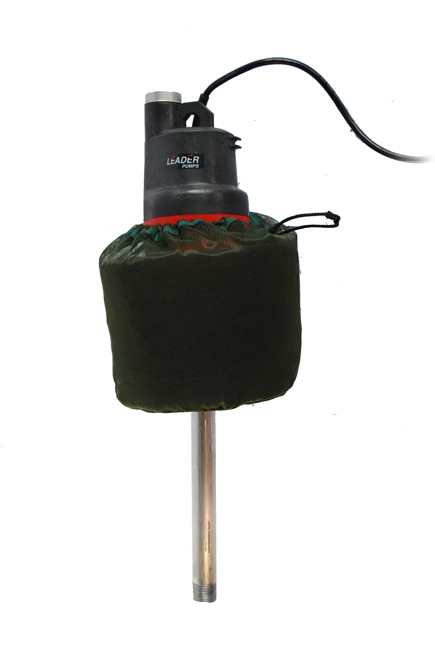 The LAKEMAID® is the ultimate automatic weed removal system. 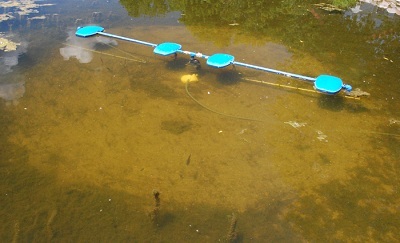 It consists of a long floating arm propelled by a submerged pump that drags weed-removing rakes across the lake bottom. This repetitive sweeping action eliminates the lake weeds quickly and safely. Not only is the LAKEMAID® an amazing solution for lake weed problems, it's also perfect for preventing and eliminating the build up of silt! 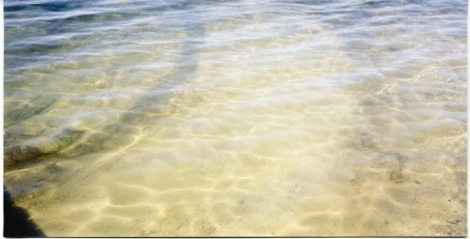 Let the LAKEMAID® enhance your lake shore by creating a clean, sandy, silt-free, and weed-free lake bottom. 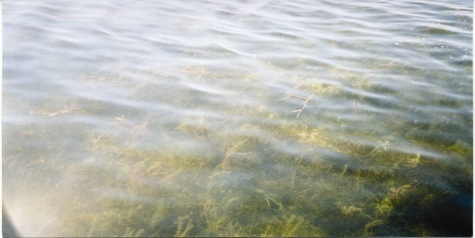 The LAKEMAID® eliminates lake weeds in a few days and continues working as long as you'd like. The rakes simply brush across the lake bottom, keeping your area clean and clear of lake weeds and preventing silt buildup. Mud, rock, or sand will not affect the LAKEMAID®, which can be installed in spring or summer - no matter how dense the weeds are. 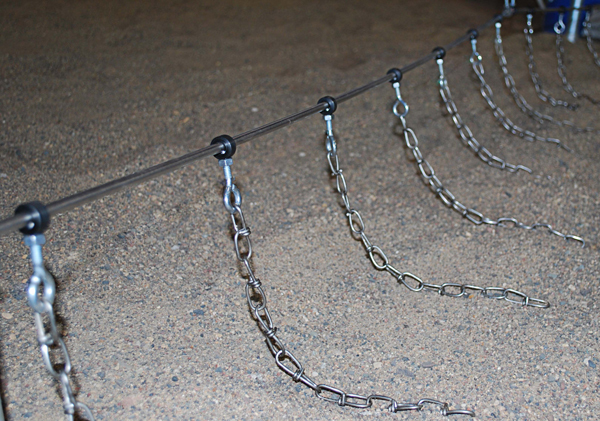 The LAKEMAID® can easily control weeds when the lake bottom has steep slopes and other terrain difficulties. Safe for your lake: The LAKEMAID® is environmentally safe. The support arm gently pulls the rakes over the lake weeds. The rakes gradually wear down the weeds, until they disintegrate completely. That means very few weeds end up on the shore and won't accumulate on the rake so you don't have to worry about keeping them clean. 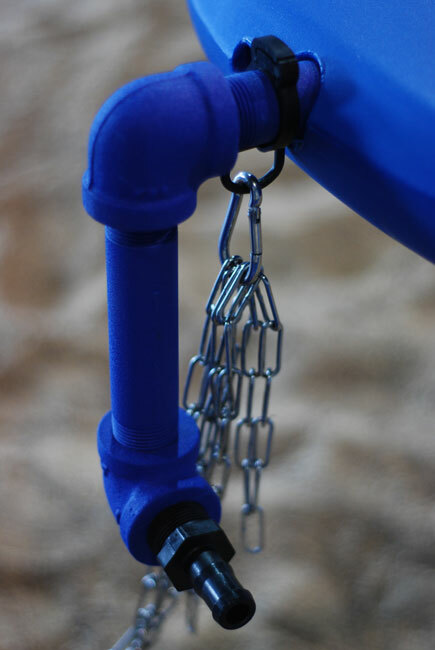 Easy to install: The LAKEMAID® is remarkably lightweight and easy to install. Support arm sections easily attach to one another with quick-connects. The pump remains below water. Remove and share: Removal is just as quick. In fact, it only takes about 15 minutes to install or remove the LAKEMAID®. The LAKEMAID® is very lightweight. It can be easily moved or even share it with a neighbor after your weeds are quickly eliminated. Powered by a pump: A pump is located under the water. Water is pumped through two nozzles to move the support arm. The LAKEMAID® runs off of household current, 115 volt, and it draws under 15 amps. 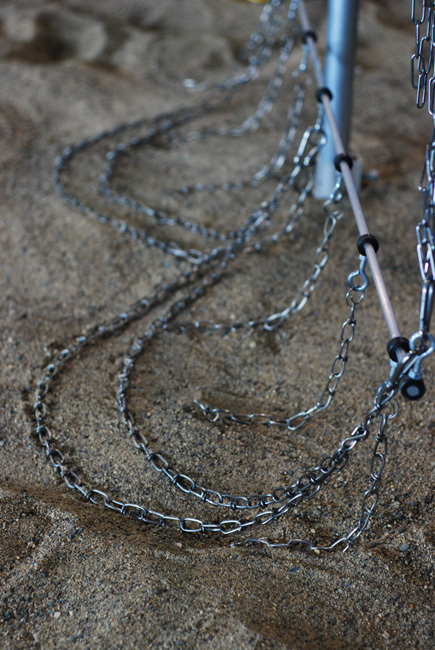 Adjust for depth: The rakes are attached to the support arm by a chain. 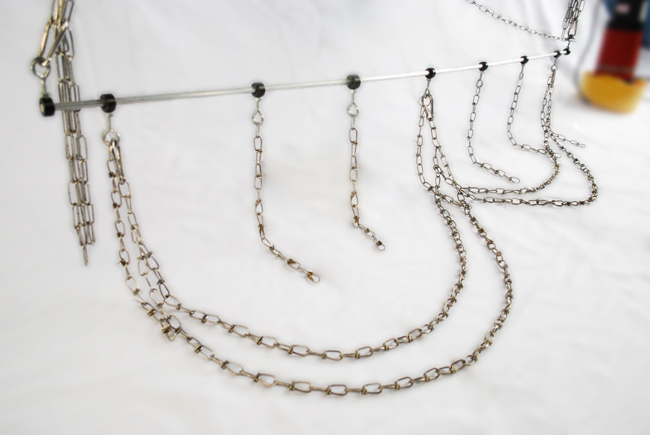 The length of the chain can be adjusted based on the depth of the water. Works in Heavy Weeds or Light/Early Weed Growth: The LAKEMAID® can be installed in spring or summer, either before or after the weeds have been growing. 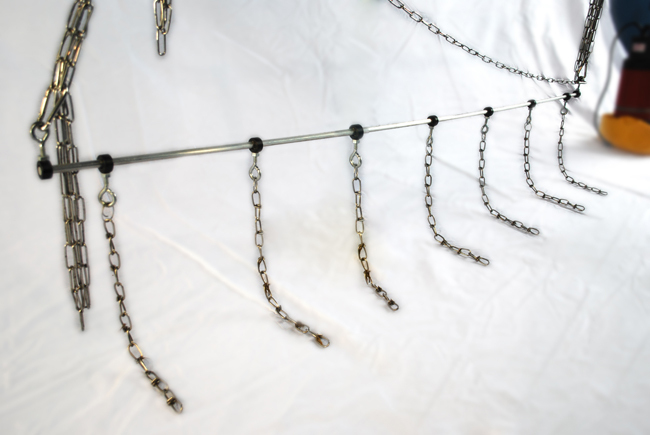 In light to moderate weed growth, all of the rakes should be attached to the support arm. If the weeds are very heavy and reach the surface, simply raise some of the rakes to the floating arm and operate for several days. Alternate the rakes that are raised and lowered, and operate for several more days. At this point, all rakes can be lowered to maintain a weed free area. Lake Restoration, Inc. (LRI) warrants that this product is free from defective material and workmanship. LRI further warrants that if this product fails to operate properly within one year of the purchase date and the failure is due to improper workmanship or defective material, LRI will repair or replace the product at LRI's options. All warranty repairs must be performed by a LRI authorized service center. The nearest service center can be obtained by calling 1-877-428-8898. Transportation to and from the service center is the customer’s responsibility. Sales receipt must be retained as proof of purchase. Call us at (763) 428-9777 or toll free at (877) 428-8898 to request a brochure and discuss the LAKEMAID® with us! "We found the LAKEMAID to be an excellent solution to our lake weed problem!" "In general, the LAKEMAID lake sweeper proved to be a successful, cost-effective, low maintenance plant control method for small areas." "We saw results within 24 hours...."
"A quick removal of weeds making for a desirable place for the kids to play." "The LAKEMAID performed as described. 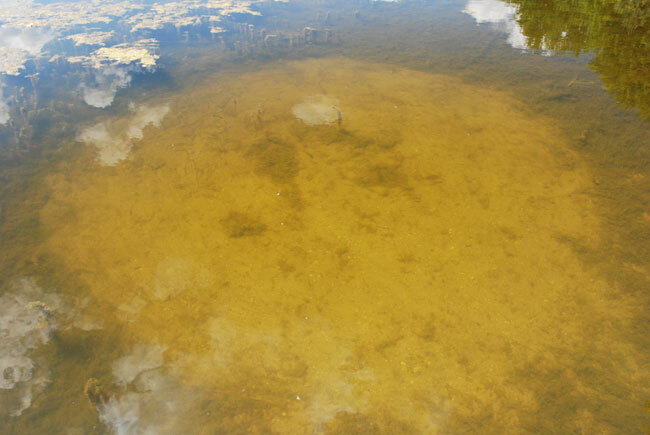 After 5 days of operation, weeds that could be seen above water were gone and lake bottom was visible." "The LAKEMAID works wonders. If it cleans up our lake, it will clean up any lake. We're seeing white sand." Maximum water depth for placement of the anchor is five feet. The arms will extend out deeper water from that point. Minimum water depth for placement of the anchor is 2 1/2 feet. The arms will extend in to shallower water from that point.